His Highness President Sheikh Khalifa bin Zayed Al Nahyan issued a new “Anti-Discrimination Law No. 02 of 2015”. It has multidimensional strategic objectives. It is indeed a way forward to curb hatred, discrimination, racism, incitement, and terrorism from the country. It is anti-conflict, division, destruction and promotes harmony peace and love. UAE has set an example in dealing with the racism. It has also multiplier socio-economic, geo-political and geo-strategic effects. It is the reflection of multiculturalism. It stands for globalization. It stands for togetherness. It speaks about universalism. It has introduced a new social contract in the Emirates. The UAE has rightly taken measures and decisions in shape of No.02 of 2015, which is the safeguard against all negative factors that can lead to in-fighting and discrimination. Furthermore the law secures peaceful co-existence among the people in the country with their different religions, sects and ethnicities. The Anti-Discrimination Law 2015 aims to safeguard people regardless of their origin, beliefs or race, against acts that promote religious hate and intolerance. It promotes broad-mindedness and acceptance in the UAE. It provides a sound foundation for the environment of tolerance. The law aims to consolidate the principles of freedom, tolerance and acceptance of others and respect for the views, ideas, beliefs and values of others, as adopted by the UAE since its inception. The UAE guarantees, protects and defends these principles by the force of law. The purpose of said law is not the mere application of sanctions or sentences. It serves to establish a proper system/relation between members of society and install civil peace. The protection of societies and their rights is not a matter left to the wishes of the people. It is foremost duty of the modern state to protect the basic rights of its people and always acts above any prejudice and discrimination. The new law, No.02 of 2015, criminalizes any acts that stoke religious hatred and/or which insult religion through any form of expression, be it speech or the written word, books, pamphlets or via online media. It outlines different crimes and penalties fall in the category of hatred crimes. It is against any form of discrimination on the basis of religion, caste, creed, doctrine, race, colour or ethnic origin. It bans any act that stokes religious hatred and/or which insults religion through any form of expression, be it speech or written word, books, pamphlets or via online media. It condemns actions that would comprise hate speech or the promotion of discrimination or violence against others using any form of media, including online, print, radio or visual media. It proposes strict action that will be taken against any form of expressions of hatred or incitement to hate crimes spread in the form of speech and published media. It punishes anyone for terming other religious groups or individuals as infidels or unbelievers. It penalizes violation of various provisions of the law include jail terms of six months to over 10 years and fines from Dh50,000 to Dh2 million. It prohibits any act that would be considered as insulting God, his prophets or apostles or holy books or houses of worship or graveyards. The law also criminalises any act that amounts to abuse of religion or vandalism of religious rituals, holy sites or symbols, and takes a serious view of violence on the basis of religious doctrines. It has certain provisions to fight discrimination against individuals or groups on the basis of religion, caste, doctrine, race, colour or ethnic origin. It covers all possible aspects of hatred in the modern world along with provisions of punishments and penalties to make UAE an ideal model of co-existence. From personal thinking, taboos, stigmas, sympathies, affiliations and associations, to ills of corporate world (groups, conferences, funding, meetings, technologies, political connectivity, doctrines and the last but not the least, ideologies) every angle is thoroughly discussed in the newly anti-discrimination law to make it perfect, workable and effective too. It creates strategic balance/equilibrium between the virtue and vice, devil and dignity, progress and regression and above all development and destruction. It gives people sense of security, stability and sustainability. It covers all forms of hate crimes and fully endorses UAE human values. The law has come at the right time to secure the UAE, its people and expatriates too. It is an historic step. The UAE has taken a giant leap for its people and society, something that has never been witnessed in the Arab world. It is perfect guide to globe. It stands for tolerance and global peace too. It consists of certain provisions relating to punishing anyone terming other religious groups or individuals as infidels, or unbelievers. It promotes sense of civic responsibility and spirits of caring. The law has been issued for seeking justice and consolidation among members of the society. The law also addresses intra-Muslim conflicts of groups ostracizing people and calling them infidels. UAE already stipulated a law that scorning religions is a punishable misdemeanor that invited a jail term of one month, but the new law makes it a crime and toughens punishment. The new law punishes the juridical person entity like firm or corporate and mentions that explicitly. Anyone who represents the company shall shoulder legal responsibility in case there is a sectarian or racial slur in his comment. The law mentions complementary punishments which feature dissolving the company, organisation or the association, and confiscates all its assets and properties. It empowers the judge the authority of absolving the defendant of the penalty in case he cooperates, and this encourages defendants to confess. The law forbids any individual or group established specifically to aggravate religious hatred and endorses severe punishments for groups or supporters of any organisations or individuals that are associated with hate crimes. The newly promulgated decree provides guideline to all form of media (online/social, print, radio or visual media) not to publish or relay hate speech or the promotion of discrimination or violence against others. The law has become an imperative need especially after the unstopped provocation of messages posted on the social networking media which incite discrimination and hatred around the world. Though the UAE society is far from the phenomenon of inciting hatred among different religions and races, it has become necessary to enact laws and regulations against hatred and incitement to safeguard human rights and preserve the consolidation of the local society. The anti-discrimination law has been promulgated to silence and curb such negative practices, even minor, in social networking websites and TV channels which people watch and browse without realising the components of the society. It has been enacted before these practices reach the UAE, and the statute will be deterrent to who-ever tries to follow those deviants, and thinks he will be able to deviate from the humanitarian trend the country is adopting,” he said, adding the law is complementary to the legislations. It says that any person, even if he/she is outside the UAE, will be prosecuted under the purview of the law, as he incites sectarianism, and accordingly commits crimes inside the UAE shows seriousness on the part of the UAE government. It upholds that strict action will be taken against any form of expressions of hatred or incitement to hate crimes spread in the form of speech and published media. It also criminalises any act that amounts to abuse of religion or vandalism of religious rituals, holy sites or symbols, and takes a serious view of violence on the basis of religious doctrines. It prohibits any entity or group established specifically to provoke religious hatred and recommends stringent punishments for groups or supporters of any organisations or individuals that are associated with hate crimes. It also bars any kind of events such as conferences and meetings within the UAE organised with the sole purpose of sowing seeds of discrimination, discord or hatred against individuals or groups on the basis of faith, origin or race. Moreover, receiving financial support for such activities is also punishable under the new law. The law encourages anyone involved in any activity that violates the law to voluntarily submit themselves before the authorities and has provisions allowing the courts to waive penalties in such cases. It encourages anyone involved in any activity that violates the law to voluntarily submit themselves before the authorities and has provisions allowing the courts to waive penalties in such cases. Anti-Discrimination law No. 02 of 2015 does not contradict with any other existing laws in the UAE meant to protect specially privileged groups in the society such as women, children and individuals with disabilities or others. It is meant to provide a sound foundation for greater tolerance, broad mindedness and acceptance in the UAE. It is meant for those of criminal attitude of deviant concepts as the UAE in its nature adopts moderate ideas and has already launched a slew of initiatives supporting that trend. It clearly underlies criminalising whoever attempts to differentiate between people of different religions, beliefs and ethnicities and who may hurt others by spelling out any description. The punishments according to the newly announced law are in line with the spirit of Islamic culture embraced by the county’s society which rejects hatred and discrimination. This law penalises anyone who gives himself the right to enflame hatred in society and agitate prejudices, and deters many destructive and extremist thoughts which caused the annihilation of the society and seed grudges in its. It aims to protect the pure and simple form of humanity which is free from all kinds of prejudices and prosecutions. It safeguards people regardless of their origin, beliefs or race, against acts that promote religious hate and intolerance. It also includes sets of penalties violation of the various provisions of the law include jail-terms of six months to over 10 years and fines from Dhs50,000 to Dhs2 million. The most severe penalties are against government officials, who face jail terms of 10 years and fines of AED 500,000 ($136,127) if they commit during work hours. Those who exploit religion and accuse others of blasphemy will be imprisoned. Penalties might reach the death penalty in cases of murder. The UAE’s leaning to enforce this law is a civilised and an advanced giant step of a human friendly state that realises its responsibility towards its people and expatriates living in its land, and looks forward to preserving their rights and dignity. The new law will thwart any attempt to sow seeds of division in the country’s cohesive and diverse society. The new anti-discrimination law has been decreed to protect all the components of the society and by safeguarding their personal privacy within a framework of respect that is in line with the international human rights law and constitution of UAE. It would play a prominent role in further supporting the human rights system in the UAE. Moreover, it will not serve as a source for restricting freedoms as some of Western Human Rights Organizations fear. It is purely based on “Islamic Civilization” and “Arabs Traditions”. Everyone is equal before the law. It preaches equality. It protects human rights. It respects humanity. It values freedom. It cares religious tolerance. It promotes peace, harmony and love. It strengthens spirits of co-existence. It stands for sustainable development. It promotes stability and sustainability in the society, system and governance. It sieges monsters of evil, hatred, discrimination and division. It stimulates unity. It preserves dignity. It works for greater virtue which is larger than life. It enforces religious tolerance and gives the UAE a leading status in the region and world. It promotes human rights too. It combats terrorism and protects over 200 nationalities as well as Christians. It will act as a deterrent toward any religious intolerance. It is a bid to send a message to radical groups such as Islamic State (IS) that the Arab country stands for peace. The government introduced the law to “thwart” any attempt to sow seeds of division in the UAE’s cohesive and diverse society. It upholds religious tolerance which is the secret of rapid socio-economic development. It cements diversity and innovative thinking too. It facilitates culture of responsibility and sensibility. It makes people, policies, programs, institutions, legislations and governance free from any dogma and bigotry. It eradicates fear where people are free to practice their religions and rituals. Peaceful living of more than 200 different nationalities in UAE confirms its perpetual belief in religious tolerance. It also reconfirms its generational understandings towards human values and humanity. Religion stands for human freedom and hatred sparks for inhibition. Religion upholds respect and hatred promotes restriction. Religion helps development and hatred sows seeds of destruction. And the last but not the least, religion facilitates sustainability and hatred sabotage. Visionary leadership of the UAE has announced new anti-discrimination law to seal all kinds of hatred in the country. It is a long term planning to maintain societal cohesion. It is a civilized mean to keep spirits of people’s harmony sky-high. It is a decent way to protect the basic rights of its people without any intermingling on the part of state. It marginalizes the role and scope of any non-state element in the country. It has perfect balanced strategy to eradicate all chances of hatred criminalization in the United Arab Emirates (UAE). It has set ideal example for the region and globe to diminish seeds of hatred, bigotry and discrimination. It has certain guidelines to further strengthening of true spirits of religious tolerance, peace, harmony and love among the different religions, faiths, sects, beliefs and ideologies in its country where already more than 200 different nationalities live jointly without any fear and discrimination. It also asserts the government belief in criminalising Takfir/Division and extremism/fanatics of different kinds, and encourages peaceful co-existence with different religions, thus giving one the freedom of thinking and belief, and explains that each and every person in the society has the freedom to follow the sect and the faith but within the parameters of the law. With the announcement of a law against hate crime, the UAE government has taken another giant step towards further freedom, harmony, peace and tolerance in its country. It would further strengthen its drive towards achieving and maintaining high standards of human rights without fear of discrimination or violence. Right from the beginning, its successive visionary leadership promulgated many effective decrees to promote harmony, peace and cohesion in the country. It is indeed a right legislation coping with forms of discrimination on the basis of religion, caste, creed, doctrine, race, colour or ethnic origin. It would further promote safety, security, stability and spirits of co-existence in the UAE where more than 200 different nationalities already live peacefully. It has elevated the Emirates to the ranks of highly civilised nations, and will put an end to crimes of discrimination practiced by some Arab societies. Sinners and preachers of hatred and extremism would be in the line of fire within and abroad. It gives the full force of the law to protect the principles that have made the UAE an ideal hub of peace, stability and coexistence in a turbulent region. It is a comprehensive law which is more than mere punishments and penalties. It is the declaration of UAE’s leadership commitments towards people harmony and religious tolerance. All legislations in the UAE are based on the principles of justice and respect for human rights of all people, regardless of their religion and race, and introduction of new anti-discrimination law would further strengthen the state of law. The law brings the concept of social security to a new level that protects everyone in the UAE. The proliferation of hate groups is testimony to the trend accompanied by a lackluster response in key countries to fight this scourge. Hate is a driver of social destruction not only in terms of race and ethnic relations, but also between religions. Hate is intense, long-lasting, and demands retaliation or redress. Clearly, hatred leads to extremism which manifests itself across a broad spectrum of belief systems and cultures. But the UAE nationals and expatriates are blessed with the anti-discrimination law. UAE nationals and residents welcomed commitment to preventing and eliminating all forms of intolerance and racial discrimination. Due to religious tolerance, human friendly policies and visionary leadership of UAE, there is no place of hatred discrimination on the bases of ethnicity, national origin or religion. All are equal before the court of the law. It also reflects the UAE leadership’s strong political will and statesmanship to establish relations based on mutual respect between individuals and nations. Discrimination is one of the most disturbing and destabilising diseases in the modern age. “As affirmed in the holy Quran and Sunnah, no one is superior over another, in terms of colour, religion, language, culture, race, or backgrounds. The only superiority is by righteousness and God-fearing that is the essence of newly announced anti-discrimination law. With this new law, the UAE has demonstrated to the international community their beliefs and enhances the confidence of multi-ethnic communities to establish the UAE as an international centre. People will now get a lot more comfort. Yet, with the religious conflicts that continue to damage other Arab countries such as Syria, Iraq, Yemen and Egypt, the UAE’s new law is also a clear warning to anyone considering importing and disseminating religious intolerance to the UAE. In real power politics terms, hatred is a cashable commodity especially where vested interests based on religious dogmas, biased ideologies and personal taboos tend to dominate over national causes of survival, unity, peace and harmony but sinners of its promotion will now be deemed a crime and discrimination against any resident will invite fines ranging from Dh50,000 to Dh2 million. Offenders will also be sent to jail for six months to 10 years. His Highness Shaikh Mohammed bin Rashid Al Maktoum, Vice-President and Prime Minister of the UAE and Ruler of Dubai, said on his official Facebook and Twitter accounts: “The new law guarantees freedom of individuals against religious intolerance and hate crimes and underpins the UAE’s policy of inclusiveness. Sheikha Lubna Al Qasimi, Minister of International Cooperation and Development said it also showed the wisdom of the leadership in a country that was sending a message to spread peace and a culture of non-discrimination. “Today, while we see a phenomenon wherein many societies are marred by division, spread of conflicts, fighting and destruction of homelands due to outbreaks of racial or religious discrimination, the UAE has taken measures and decisions which safeguard against all negative factors that can lead to in-fighting and discrimination,” said Sheikha Lubna. Sheikh Lubna also brought to attention that this shrewd vision of the UAE’s leadership is gleaned from the teachings of religions and in conformity with the Islamic tolerant teachings which call for equality among all people. Dr. Amal Al Qubaisi, First Deputy Speaker of the Federal National Council (FNC), Member of the Executive Authority of Government of Abu Dhabi, and also Director-General of Abu Dhabi Education Council, has appreciated the newly announced decree issued by President His Highness Sheikh Khalifa bin Zayed Al Nahyan, on criminalisation of acts related to contempt of religion and its holy sites, the fight against all forms of discrimination, and the rejection of hate speech. The head of the Emirates Human Rights Association, Mohammed Al Kaabi, said the law was an advanced civilised step to protect the rights and dignity of citizens and residents. The law would punish those who incited hatred and preached destructive and intolerant ideas, he further added. “I think the existence of such laws is an urgent need for all countries, especially amid many messages of concern that incite racial hatred on social networking sites, he added. The law would also enhance social stability, he said. “No small faction of society who chooses hate as a doctrine has a right to ruin humans’ innate will to coexist, cooperate and come together,” Mr Al Kaabi said. Ali Mohammed Al Balushi Attorney-General of the Emirate of Abu Dhabi stressed that the new law of UAE against any form of discrimination on the basis of religion, caste, creed, doctrine, race, colour or ethnic origin, following a Decree by President His Highness Sheikh Khalifa bin Zayed Al Nahyan, will thwart any attempt to sow seeds of division in the country’s cohesive and diverse society. The new law does not contradict with any other existing laws meant to protect specially privileged groups in the society such as women, children and individuals with disabilities or others. Saqr bin Ghobash Saeed Ghobash, Minister of Labour termed the new law enacted as “civilisational addition” that provides a legislative framework for the culture of tolerance, compassion, and acceptance of others as they are. UAE introduces to criminalise all forms of discrimination on the grounds of religion, caste, creed, doctrine, race, colour or ethnic origin. “This culture is deeply rooted in the country’s society and provides the foundation for continuous social and economic progress”, he added. “The anti-discriminatory law reflects peaceful co-existence between different cultures in the UAE, making it an attractive destination for people looking for a dignified life, security and safety under the umbrella of the rule of law and the protection of human dignity,” the minister added. The UAE newly announced anti-discrimination law has won the hearts and souls of people, jurists, writers, religious clergy, administrators, planners and different forums in the country and around the world. Everybody speaks about its merits, benefits and bounties. Everybody appreciates its strategic origination. All walks of people acknowledge its human and humanity friendly postures and provisions. All forms of jurists speak highly about its unprejudiced legal framework. All types of writers recognize the elements of fairness, openness and justice in the newly promulgated law. All sorts of religious clergy accept its inbuilt religious tolerance. All kinds of administrators endorse its workability. Planners of all stages admit its perfectibility. Above all different forums in the region and around the globe praise its universality and role model for eliminating miseries of struggling people confronting with ills of religious intolerance and hatred discrimination. The Islamic European Council has highly appreciated the law, and stressed on the governments of Islamic countries, members of the Organisation of Islamic Cooperation (OIC) and member states of the United Nations (UN) to follow the United Arab Emirates (UAE) in order to activate Resolution No. 65/224 on Combating Defamation of Religions, issued by the 65th session of UN General Assembly. Secretary-General of the Islamic European Council, said under the rapid regional and international changes that threaten global peace, it has become necessary to pass a law criminalising the defamation of religions in all the Islamic countries. Bahrain has called for a new law to punish hate crime and discrimination similar to that introduced by the UAE. Its Shura Council members have called for new punishments for those found guilty of ‘hate crimes’. They said that such a new law “will add value to their country’s image”. He pointed out that this law seems obviously importance in light of the increase in violent acts, racism and hatred in society in the name of religion and doctrine. It also helps to reduce acts of extremism and terrorism of all kinds. The new law supports tolerance of Islam in dealing with different religions and doctrine, he added. “Such laws maintain national unity and protect freedoms, personal views, ideas and religious belief”. 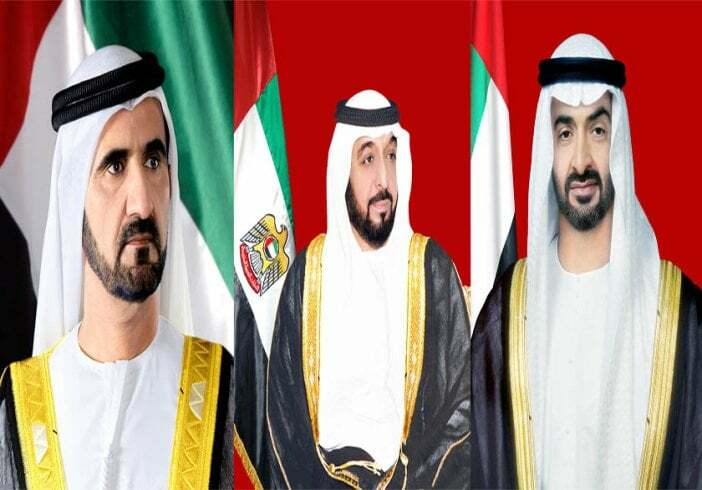 It praised wise vision of the UAE leadership which passed this law after it realized risks that tear communities and fuel strife and conflicts. It hoped that the remaining Arab countries will issue similar laws to block a way before those who sow the seeds of strife and politically exploit religion. In its editorial entitled “Anti-discriminatory law promotes UAE coexistence model” has said the Anti-Discriminatory Law, issued by President His Highness Sheikh Khalifa bin Zayed Al Nahyan, promotes the Emirati coexistence model, which, guarantees equality among members of society. It criminalises discrimination among individuals or groups on the basis of religion, creed, doctrine, denomination, caste, race, colour or ethnic origin, it added. Right from the beginning, UAE has been able to provide a unique model of coexistence and multiculturalism, where its vast demographic composition protect a vast diversified mixture of nationalities living in complete compatibility despite differences among them in relation to culture, religion and race, it elaborated. Moreover, it’s wise leadership spares no effort in working for the promotion of coexistence and compatibility through a variety of initiatives, mechanisms, frameworks, laws and legislation, it explained. Its bulletin was issued by the Emirates Centre for Strategic Studies and Research (ECSSR) which said the new anti-discriminatory law reinforced the model of co-existence and established the exterior image of Emirates as an active party in promoting a culture of global coexistence and dialogue among different civilisations and cultures. “The law also stresses the UAE’s ability to provide a civilised image of the principles of the Islamic religion, contrary to those that promote injustice for Arab and Islamic culture as a source of extremism, violence and terrorism in the world”, it added. The bulletin concluded that in the face of tendencies of extremism and violence, which seek to revive the clash of civilisations and religions, demonstrating that the UAE is on the road to building a global culture which respects beliefs and religions and believes in global humanitarian coexistence. Emirates Writers Union (EWU) has praised the decree. It said that it aims to consolidate the principles of freedom, tolerance and acceptance of others and respect for the views, ideas, beliefs, values of others, as adopted by the UAE since its inception. The UAE guarantees, protects and defends these principles by the force of law. 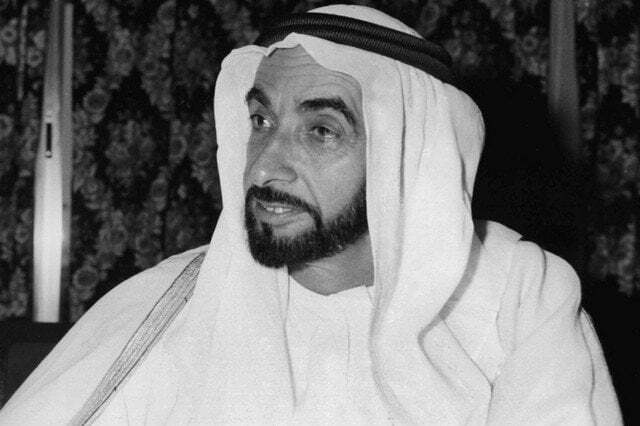 Since its inception, the late Sheikh Zayed, the Founding Father of the UAE successfully introduced different policies, programs, initiatives, decrees, legislations and laws to promote religious tolerance and spirits of co-existence due to which now UAE is among the most advanced country in the region and around the world. He lessened risk of discrimination or intolerance and institutionalized spirits of equality, freedom and justice. He loved humanity regardless of race, religion or ethnic origin. The Arab world has had its fair share of internal conflicts because of religion, and many of these fights go far beyond the struggle between Shias and Sunnis. But thanks to strategic vision of successive leadership of the UAE, it is free from all kinds of sectarian rivalries and religious conflicts. The Middle East has been home of Alawites, Berbers, Copts, Druze, Kurds, Jews, Yazidis, Assyrians, Shias and Sunnis but in the UAE they are all equal and just humans. Everybody is free to follow its religion, faith, belief and ritual. 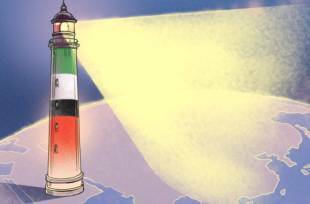 This year UAE will enjoy its 44th National Day on December 2, 2015. The UAE has enjoyed more than 43 years of stability and peace between all groups living here without any major threat of attack or violence against a religious group, largely because of the harmony that exists and is encouraged by the Government and people of the UAE. UAE is the home of human diversity, dignity, respect, freedom and tolerance. Most recently, Khalifa bin Zayed Al Nahyan, the President of the United Arab Emirates (UAE) has adopted a new “anti-discrimination law” which criminalises all forms of discrimination, protects religion and religious institutions, bans vandalism, insults to God, prophets and the like. The law also criminalises all forms of discrimination on the grounds of religion, caste, creed, doctrine, race, colour or ethnic origin. It would be a necessary part of government and social responses to intolerance and discrimination being used by others to further their extreme views in the society. It distinguishes self-centered ideologies with true spirits of religion. It limits the scope of hatred crimes in the society. It is a giant step coping with all kinds of hatred based on religion, caste, creed, doctrine, race, colour or ethnicity. It has been introduced at the perfect time as certain groups had a misconstrued violent concept of religion and tried to pollute the minds of innocent people. The law sends a message of peace, tolerance, harmony and co-existence. It bans hate speech through any media with the intention of providing a sound foundation for the environment of tolerance, broad-mindedness and acceptance in the UAE. It aims to safeguard people regardless of their origin, beliefs or race. It acts against that promote religious hate and intolerance. The law also outlines certain guidelines to use social media (Facebook, Tweet, WhatsApp, Skype, Instagram, Viber etc.) in order to tame the raw feelings/writings of people. New technologies have double-edge sword. It is easiest means/modes in the hands of miscreants to attract the unlimited souls near to their webs of destructions and disinformation. It includes strict fines of up to $600,000 and jail terms of up to 10 years for anyone spreading any form of hate speech in print or online media. It prohibits any insult of God, prophets or apostles or holy books or houses of worship or graveyards. It forbids any act that amounts to abuse of religion or vandalism of religious rituals, and bans speech inciting religious hatred, particularly calling other people infidels or unbelievers. It calls on violators to submit themselves to the authorities, saying that a court would waive penalties in such cases. It would combat the growing trends of hatred and intolerance between religions, and sectarianism worldwide. It would promote better understanding instead of misunderstanding and greater socio-economic prosperity instead of prejudice between different religions, sects, faiths and ideologies. Moreover, this law will thwart any attempt to sow seeds of division in the country’s cohesive and diverse society like UAE. Violating the law brings a prison sentence of up to 10 years or a heavy fine. The new anti-hate law serves as a model for the rest of the world at a time when hate is spreading across the region and the globe. It eliminates criminalisation of acts related to contempt of religion. It demonstrates that the freedoms shall be protected by law as they have become the core duties of the state. It shows open-mindedness of the UAE government towards humanity, global peace and harmony. It stresses at all forums the directives of its visionary leadership to combat discrimination and hate rhetoric. It showcases UAE’s culture tolerance and cooperation and constitutes the vision of the founding Father, Sheikh Zayed. 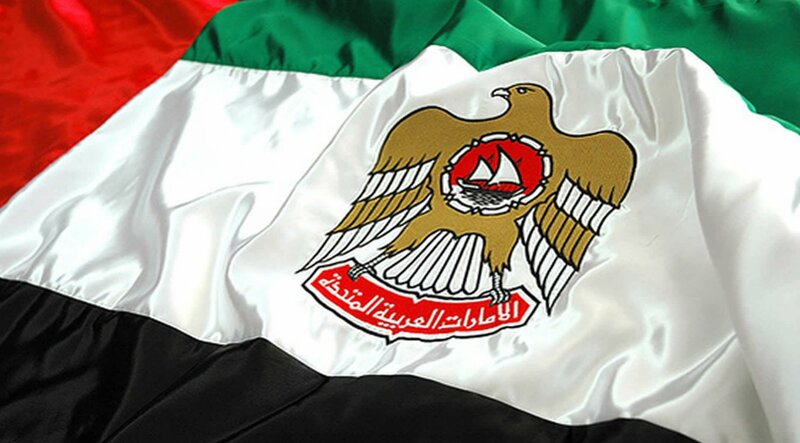 It is a national mandate of the UAE government, armed forces, police, judiciary, administration, intellectuals, researchers and the last but not the least, common people to fight against all trouble-makers and worshipers of hatred, discrimination, division, destruction, and sabotage by blocking their self-fabricated ideologies and spreading of sentiments of disunity, disharmony, and disbelief. It also highlights the community’s responsibilities, whether institutional or individual, to sensitise their roles to confront extremism and terrorism. It enforces religious tolerance and gives the UAE a leading status in the region and world. It promotes human rights too. It combats terrorism and protects over 200 nationalities as well as Christians. It will act as a deterrant toward any religious intolerance. It is a bid to send a message to radical groups such as Islamic State (IS) that the Arab country stands for peace. The government introduced the law to “thwart any attempt to sow seeds of division in the UAE’s cohesive and diverse society. The new anti-discrimination law has also regional and global importance which would combat the threats of global terror. We are living a complex world where many societies are marred by division, conflicts, fighting and destruction of homelands due to the outbreak of racial or religious discrimination and introduction of new anti-discrimination law would act like a first line of defense maintaining societal harmony, peace, and tolerance. It would foster all the efforts relating to fight against all kinds of terrorism, discriminations, conflicts and divisions based on hatred crimes. It would address the current lack of tolerance (religious, ethnic, sectarian, creed, caste, and race) in the region and around the globe. The new law was welcomed by the country’s 1.2 million Christians and other minority groups such as Shiite Muslims, Hindu’s and Sikhs who call the country home. Christians are also safe to practice their faith without fear in the UAE. The UAE has an excellent record on human rights and has good relations with all countries of the world, based on the foundations of justice, equality and cooperation, mutual respect. The UAE always seeks to help and resolve the problems by peaceful means and introduction of new anti-discrimination law stands for a legal remedy instead of naked force. It would now terminate networking webs, and notorious satellite channels engaged with the systematic practices aiming to insult religions and spreading hatred and discrimination. Promotion of hatred directly affects social fiber and psychological orientation as well as national security. The new law stresses that authorities must take all possible measures to those people, sects, organizations and groups accusing doctrines and people of certain religions of blasphemy, and incite against them. Religion stands for sanctity. Hatred projects intolerance. Secrete of socio-economic prosperity and social peace is to maintain religious tolerance. The newly decree uplifts UAE society to the level of these civilised states. It promotes among its people a culture of acceptance regardless of religion or doctrine. It projects the true spirits of Islam and of course Arab civilization which are based on tolerance, freedom, respect, peace and harmony. It is also in the line of international human rights law. It speaks about equality and equal rights. It is not against any kind of freedom and especially human freedom and rights. Actually it further strengthens the UAE Human Rights System which cares about people and their necessities based on their dreams. The essence of this law is love which must be ruled the world not hatred. It is a preemptive legislative measure to protect the lives, beliefs, faiths and properties of people. It is a national narrative and discourse to purify the true spirits of Islam from the wrong notions and false ideologies used by different separatist’s organizations, groups and clans in order to achieve their own vested interests. It explains that the crimes of discrimination and hatred are not acceptable in the UAE. It distinguishes that the new law is not limited someone sovereignty or freedom. It applies anyone who commits any of the crimes listed, regardless of their position, status, authority, influence or location. Islam is a religion of tolerance. It is not a tool for the dissemination of murder and extremism, as used by terrorist groups in the region. The provisions of the anti-discrimination law are clear and uphold the true spirits of Islam, Arab civilization and of course UAE values and traditions. Hate crime is the scourge of society, which has led to unwarranted deaths, in some countries, of innocent civilians caught up in the whirlwind of misguided prejudice. New law blocks all possible ways and means of the monster of hatred and discrimination. Its nationals and residents welcomed commitment to preventing and eliminating all forms of intolerance and racial discrimination. Due to religious tolerance, human friendly policies and visionary leadership of UAE, there is no place of hatred discrimination on the bases of ethnicity, national origin or religion. All are equal before the court of the law. It also reflects the UAE leadership’s strong political will and statesmanship to establish relations based on mutual respect between individuals and nations. All legislation in the UAE are based on the principles of justice and respect for human rights of all people, regardless of their religion and race, and introduction of new anti-discrimination law would further strengthen the state of law. Inclusion of increasing youth in the Europe, Central Asia, Africa and even South East Asia towards ISIS and such other organizations/groups via social media is wake-up for all of us. The UAE new law would stop promotion of all kinds of hatred through social, mass and print media. The same law is applicable and enforced in Kuwait, Jordan and 26 countries in the world. God-fearing and righteousness are the pillars of superiority not colour, religion, language, culture, race, or backgrounds and new promulgated decree justifies it. The new law demonstrates the UAE’s continued commitment to the principals of tolerance. The government of the UAE has always had a policy of not discriminating. The UAE successfully showcase the international community/world their sincere beliefs and enhances the confidence of multi-ethnic communities to establish the UAE as an ideal hub and land of unlimited opportunities. It will enhance comfort and reduce pain in the society. Nationals and residents express support and satisfaction for the new legislation. Development heavily rests on diversity and human dignity and open-mindedness creates more innovations and ideas of collective survival, greater production and progression. Tolerance is the way forward. Intolerance promotes anti-development policies/programs and spreads nations and gestures of disunity, disharmony and of course hatred. UAE has the best model of tolerance and co-existence where more than 200 different nationalities live in search of their dreams. The new law would be Bluetooth of greater harmony, better understanding, peace and socio-economic prosperity in the days to come. Sheikh Zayed, the founding father of the UAE, established the UAE on the golden principle of being accepting of other faiths and philosophies, unlike the divisive agenda of ISIL, where followers of anything other than their twisted misinterpretation of Islam are declared to be defectors. Now any kind of discrimination is outlawed. Black power genies are acting like wandering souls in the region and around the globe whereas the UAE newly promulgated decree would be angle of blessings for its people, expatriates, region and the world. It promotes sense of relief and feeling of security. It guarantees the freedom of expression and religion. It upholds UAE values and traditions. Hatred crimes have existential threat. The newly introduced law stands UAE firm resolve to fight, uphold and preserve the core values of the UAE, to the benefit of all who live in it and to the detriment/fatal of those who misinterpret the message of Islam and seek to sow discord, instability and chaos for their own vested interests. With the passage of time, communities have changed, expanded, mixed and become complicated. Ethics and moralities are no longer sufficient as a control, and customs and traditions have stopped deterring people from harming each other or violating others’ rights. Modern societies/systems in the world are seeking to develop laws promoting social peace and making the state a safe home for all. They are developing laws that ensure the protection of the weakest groups in the societies. There is no country in the world that has not undergone this difficult transition. Discrimination is a contemporary disease persists and spread due to lack of explicit regulations defining responsibilities and establishing guidelines. So, UAE anti-discrimination law is custodian of all the members of the society. By introducing new “Anti-Discrimination law No. 02 of 2015” UAE visionary leaders are moving in the right direction and cementing the purity associated with Islam, Arab Civilization and UAE values and traditions. UAE’s strategic objectives of greater socio-economic prosperity, sustainable development and millennium development goals would be easily achieved with the introduction of new anti-discrimination law. UAE’s strategic objectives of knowledge base economy, hate free society and above all anti-discrimination system would be institutionalized with the help of newly promulgated law. Its strategic objectives relating to societal cohesion, peace, harmony and stability would be achieved through the implementation of anti-discrimination law. Its strategic objectives of a qualitative life, greater gender equality and empowerment of women would be guaranteed with the imposition of new anti-discrimination law. Its strategic objectives about rule of law, social justice, human rights and respect for foreigners would ideally be maintained due to introduction of new anti-discrimination law. And the last but not the least, its strategic objectives about regional as well as global humanitarian assistance would be further strengthened after the activation of newly announced anti-discrimination law because it reflects the true spirits of Islam, the religion of respect, peace, harmony and unity. UAE, the land of happiness and unlimited opportunities would further foster its national drives of greater economic growth, upward social development, human friendly governance, hub of FDIs and business activities due to newly announced anti-discrimination law in the days to come. It would further strengthen its strategic position and status in the region as peaceful country. very good. Pakistan should also learn a lesson from these good steps and simplify the existing laws and frame more laws, if required, to save the country from all kinds of criminals. there are so many laws/section, one apply to a crime while the other give benefit of doubt and criminals get bales or freed by courts. these laws/sections are to be reviewed and simplified to keep the country safe and sound.